One of the main purposes this time was to visit a hellebore nursery in NZ. It was located 10 kilometers north of Clinton. It was a peaceful and quiet place where we could see so many sheep here and there on our way to and around the nursery. The owners were very frank and friendly and so we enjoyed talking about hellebores. 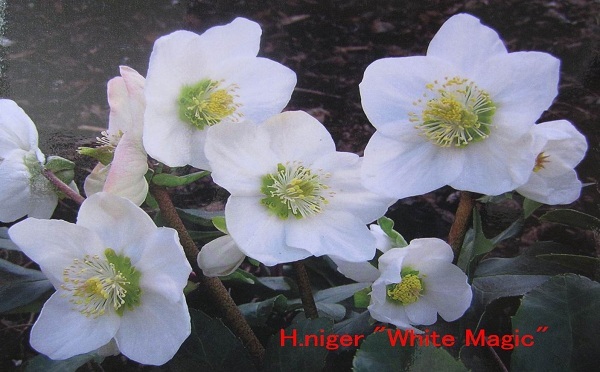 This nursery is famous for having produced the worldwide brand H.niger called ‘White Magic’. Although H.niger had already gone to seed, H.argutifolius and many hybrids were still in full bloom under the flowering cherry trees. After leaving Catlins, we drove to Queens Park in Intercargill. It is one of the best public gardens in NZ where we can see roses, rhododendrons, azaleas and hellebore hybrids. A lot of big H.argutifolius were especially impressive to me. On September 22nd, we enjoyed a cruise in Milfordsound. On the morning of September 23rd, we tried to find hellebores in Queens Gardens, but there were no hellebores there. 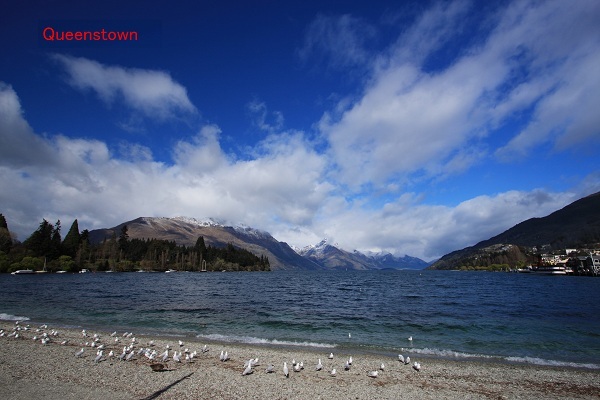 Instead, we were satisfied with the breathtaking view of Queenstown. On our way back to Christchurch we stopped by Ashburton Domain & Gardens and saw a lot of hellebore hybrids and H.argutifolius. There were a lot of places planted with hellebores in and near Christchurch; we saw many hellebore hybrids covered with the red petals of the camellia at Riccarton House and Bush. As you know, a big earthquake hit the central part of Christchurch in February, 2011. Over 180 people, including Japanese students who were studying English at an English conversation school there, died and so many buildings, including the cathedral,were greatly damaged. A one kilometer area surrounding the city center is still a no-go zone. Fortunately some gardens, like Mona Vale and Christchurch botanic gardens which I mentioned in the first part, were not affected by the quake and are still open to the public, according to my kiwi (New Zealander) friends in Christchurch. I hope all the damaged cathedral, buildings, roads, etc. will be repaired soon and I would like to finish the series of this trip. Finally, I would like to say a special thanks to Christine, our host mother and guide of this trip, and also thanks to Ken and Kate, the owners of Clifton Homestead Nursery, for their warm hospitality during our stay.